12" x 16" stretched canvas in oils. This is a commission for a friend, it`s a portrait of one of the adoption horses at the local rescue stables (name: Harry Potter). 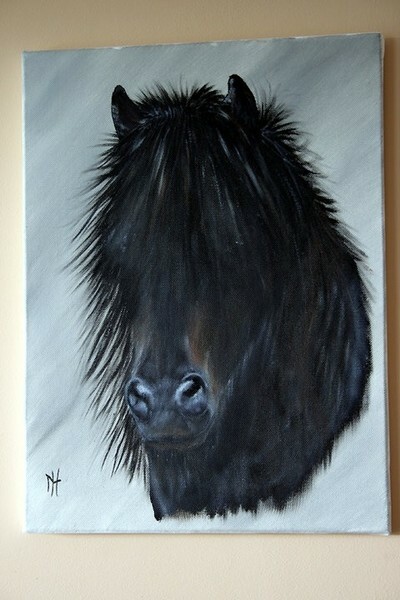 Oh...what a cuddly horse...and I bet the person you painted it for loves it, too!!! The horse is adorable. Lovely work.